Price: 99¢ (as of 05/31/2016 at 8:00 PM ET). Click here to take a Look Inside Dead and Buried. As wildfires ravage the Peak District's idyllic national park, hundreds of firefighters and park rangers fight to keep the blaze from reaching a historic inn, a landmark that has been boarded up for years. For weeks now, acts of arson have destroyed miles of land, and once the flames die down, a grim surprise awaits detectives Ben Cooper and Diane Fry — a body, dead for years. Price: $1.99 (as of 05/31/2016 at 7:00 PM ET). Click here to take a Look Inside Three Bags Full. On a hillside near the cozy Irish village of Glennkill, the members of the flock gather around their shepherd, George, whose body lies pinned to the ground with a spade. George has cared for the sheep, reading them a plethora of books every night. The daily exposure to literature has made them far savvier about the workings of the human mind than your average sheep. Led by Miss Maple, the smartest sheep in Glennkill (and possibly the world), they set out to find George's killer. The A-team of investigators includes Othello, the "bad-boy" black ram; Mopple the Whale, a merino who eats a lot and remembers everything; and Zora, a pensive black-faced ewe with a weakness for abysses. Joined by other members of the richly talented flock, they engage in nightlong discussions about the crime and wild metaphysical speculations, and they embark on reconnaissance missions into the village, where they encounter some likely suspects. There's Ham, the terrifying butcher; Rebecca, a village newcomer with a secret and a scheme; Gabriel, the shady shepherd of a very odd flock; and Father Will, a sinister priest. Along the way, the sheep confront their own all-too-human struggles with guilt, misdeeds, and unrequited love. Price: $3.99 (as of 05/31/2016 at 6:30 PM ET). 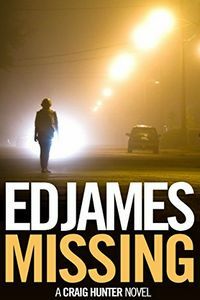 Click here to take a Look Inside Missing. Meet PC Craig Hunter of Edinburgh's Local Policing Unit. Ex-Army. Ex-CID. Back in uniform. A straightforward domestic call out twists out of control when 16-year-old schoolgirl Stephanie Ferguson alleges her stepfather, Doug Ferguson, has been abusing her. Hunter is soon working with DS Chantal Jain of Police Scotland's Sexual Offences Unit to kick off the prosecution. But before a full statement can be taken, Stephanie disappears from hospital. Now, Hunter must hunt the girl down before anyone else can. Where has Stephanie gone? Did she run? Or did someone take her? Will he get to the truth before it gets beaten into lies? Or before Stephanie is silenced for good … ? And why does this case keep throwing up old enemies from Hunter's past? Price: $1.99 (as of 05/31/2016 at 6:00 PM ET). Click here to take a Look Inside Death of a Red Heroine. A young "national model worker," renowned for her adherence to the principles of the Communist Party, turns up dead in a Shanghai canal. 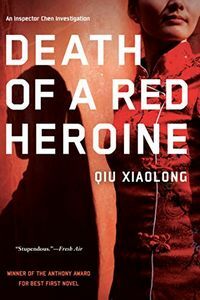 As Inspector Chen Cao of the Shanghai Special Cases Bureau struggles to trace the hidden threads of her past, he finds himself challenging the very political forces that have guided his life since birth. Chen must tiptoe around his superiors if he wants to get to the bottom of this crime, and risk his career — perhaps even his life — to see justice done. Price: $3.99 (as of 05/31/2016 at 5:30 PM ET). Click here to take a Look Inside Be First or Be Dead. Michael, the Oligarch, has dealt with most of his enemies in his own harsh way, and with the help of an unexpected and mysterious ally, fulfilled his long-coveted ambition of topping Forbes billionaire's list. Rich, still young and victorious, Michael knows how to indulge in all the pleasures this world can offer. However, those who have helped him have their own plans, where Michael's and his country's role is very different from his expectations. Soon enough, he finds out that those who really dominate the global economy rule illicitly and stay away from public eye. 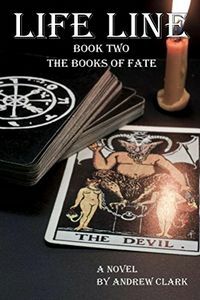 He needs to confront the ancient cabal in order to survive and to save his country … For better or worse, it's a transgressive, radical, uncompromising, grotesque, action-packed and philosophical read. Price: 99¢ (as of 05/31/2016 at 5:00 PM ET). 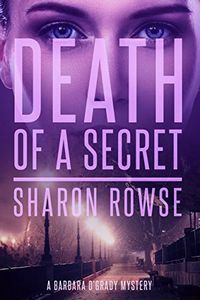 Click here to take a Look Inside Death of a Secret. Investigating the lawyer husband of noted art collector Cassie Stewart is risky enough. But Cassie is hiding something. And when her husband's lunch date turns up dead — all bets are off. With an influential client she doesn't trust, the unexpected appeal of her client's all too attractive husband, and her own long-renounced artistic dreams unexpectedly pulling at her, nothing is as it seems. Barbara must search for answers that have their roots buried in the past. As she digs deeper, Barbara uncovers long forgotten scandals and secrets — and a killer who's been waiting for her. New This Week: The Attorney Conspiracy, A Novel of Suspense by C. Terry Cline, Jr. 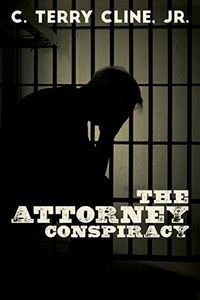 The Attorney Conspiracy by C. Terry Cline, Jr.
Price: $4.99 (as of 05/31/2016 at 4:30 PM ET). Click here to take a Look Inside The Attorney Conspiracy. The richest man in America in 1967 is shot down in cold blood in his mansion in Georgia. His wife is present. The shooter is no ordinary assassin or murderer. He is the esteemed Deputy Director of the CIA. 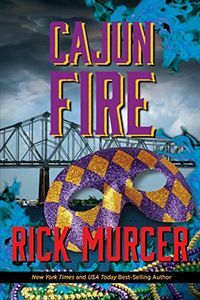 Meanwhile, ex-Army intelligence officer and local attorney, Troy Bacon attempts to foil an assassination plot that originates at the highest national level. — The Attorney Conspiracy by C. Terry Cline, Jr.
Price: $2.99 (as of 05/31/2016 at 4:00 PM ET). 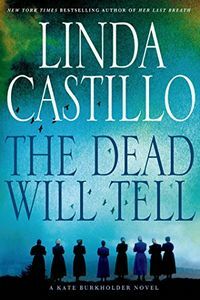 Click here to take a Look Inside The Dead Will Tell. Everyone in Painters Mill knows the abandoned Hochstetler farm is haunted. But only a handful of the residents remember the terrible secrets lost in the muted/hushed whispers of time — and now death is stalking them, seemingly from the grave. On a late-night shift, Chief of Police Kate Burkholder is called to the scene of an apparent suicide — an old man found hanging from the rafters in his dilapidated barn. 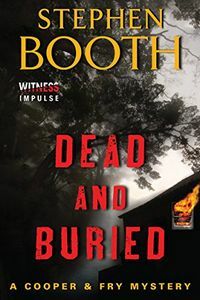 But evidence quickly points to murder and Kate finds herself chasing a singularly difficult and elusive trail of evidence that somehow points back to the tragedy of that long ago incident. Meanwhile, Kate has moved in with state agent John Tomasetti and for the first time in so long, they're both happy; a bliss quickly shattered when one of the men responsible for the murders of Tomasetti's family four years ago is found not guilty, and walks away a free man. Will Tomasetti be pulled back to his own haunted past? When a second man is found dead — also seemingly by his own hand — Kate discovers a link in the case that sends the investigation in a direction no one could imagine and revealing the horrifying truth of what really happened that terrible night thirty-five years ago, when an Amish father and his four children perished — and his young wife disappeared without a trace. Click here to take a Look Inside Wedding Bel Blues. Are they tying the knot? Or the noose? 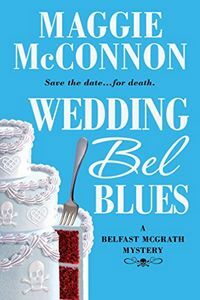 Belfast McGrath has spent the last fifteen years avoiding her big, bustling, brash Irish family. But when her five-star culinary career goes up in flames, she retreats to Foster's Landing — where she's immediately tapped as her cousin Caleigh's maid-of-honor. It's a perfect recipe for disaster … especially when Bel learns that the wedding preparations included Caleigh having one last one-night stand. When Caleigh's lover plunges from the second-floor balcony during the reception, Bel can't help but think his death was no accident. Soon Detective Kevin Hanson, who just happens to be Bel's long-ago love, arrives on the scene — looking hotter than ever. Heartbreak and homicide hardly help Bel to feel more at home, but if she is going to make a new beginning for herself, including putting the past behind her, she must first steer clear of a cold-hearted killer. To see more new paperback titles scheduled to be published this month, visit The Mystery Bookshelf for May 2016. For new hardcover titles, visit New Mysteries where for a list of May 2016 mysteries, novels of suspense, and thrillers is provided. Price: $2.99 (as of 05/31/2016 at 3:00 PM ET). Click here to take a Look Inside Hounded. Andy Carpenter isn't sure what to think when he gets a mysterious phone call from a good friend, policeman Pete Stanton, asking him to drop everything, drive to an unfamiliar address, and bring his girlfriend, Laurie Collins. He certainly isn't expecting to show up at a crime scene. But that's exactly where he arrives — at the house where Pete has just discovered the body of ex-convict Danny Diza. Upstairs are Danny's now orphaned eight-year-old son and basset hound. And that, Andy discovers, is why he and Laurie were called to the scene — Pete wants them to take care of the boy and the dog so they won't get thrown into the "system." This is already asking a lot, but soon Pete needs another big favor from Andy. Pete himself has come under suspicion for Danny's murder, and he needs defense attorney Andy to represent him … and to find out what really happened in Danny's house that day. 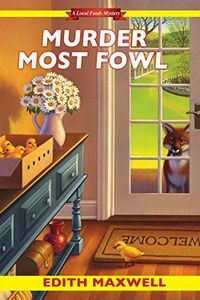 Click here to take a Look Inside Murder Most Fowl. Spring may be just around the corner, but a cold-blooded killer has put the big chill on the residents of Westbury, Massachusetts. 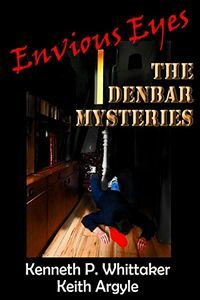 It looks like organic farmer-turned-sleuth Cam Flaherty will have to set aside her seedlings for the time being as she tills the soil for clues in the mysterious death of a local poultry maven. With the weather getting warmer, Cam should be spending her days pruning blueberry bushes and taking care of the new batch of chicks that just hatched. But murder knows no season. So when her fellow fowl-raiser Wayne Laitinen is found dead at his breakfast table one morning, Cam must put down her trimming shears and put on her crime-solving hat. The kind-hearted chicken farmer didn't have any enemies — or did he? A wealthy financier has been working hard to convince him to sell her his land, while a group of animal rights activists recently vandalized his property. Money troubles were threatening to sink his marriage. And a thirty-year-old scandal was driving a wedge between him and one of his oldest friends. Murder, blackmail, cover-ups. There's a fox in the hen house. But where? With some help from her off-again, on-again flame, police detective Pete Pappas, Cam will have to crack this case before Wayne's killer flies the coop forever. For a list of more new hardcover titles to be published this month, visit our New Mysteries page for May 2016. For new paperback titles, visit The Mystery Bookshelf where a selection of May 2016 mysteries, novels of suspense, and thrillers are shelved. 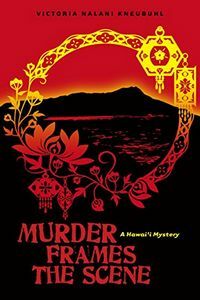 Click here to take a Look Inside Murder Frames the Scene. As the story opens, Ned is in Japanese-occupied Shanghai, where he has been sent to rescue his friend Nigel, a British spy being ruthlessly hunted by the Japanese police. The action moves to Honolulu where Mina is embroiled with a group of eccentric artists whose numbers are being depleted in a series of dramatically staged murders. While Mina looks into the murders of the artists, Ned and Nigel attempt to ferret out a spy sending reports on the activities of the Navy at Pearl Harbor to the Japanese government. 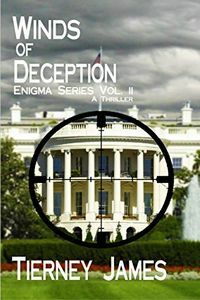 The two plot lines become intertwined as Ned and Mina are enmeshed in a dangerous net of international intrigue. Price: $2.99 (as of 05/31/2016 at 1:00 PM ET). Click here to take a Look Inside The Lost Women of Lost Lake. 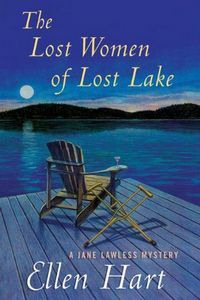 Read our review of The Lost Women of Lost Lake by Ellen Hart on Mysterious Reviews. Restaurateur and part-time P.I. Jane Lawless is taking some much-needed time off at her family's lodge when her best friend, Cordelia, arrives with news that Tess, one of their good friends, has taken a nasty fall and needs their help with rehearsals for a play that is set to open in a week. When Tess isn't on crutches, she helps run the Thunderhook Lodge, the premier resort on Lost Lake. And while she clearly needs Jane and Cordelia's assistance, she isn't exactly acting all that grateful. A man who claims to be a journalist has arrived in Lost Lake with an old photograph and some questions for Tess that go back decades. His questions have put her on edge, and when he shows up peeking through her kitchen window, everyone else is right there with her. As beloved as Tess is, there are plenty of people who don't care about any so-called journalist and are happy to protect her, but how far are they willing to take it? And when will they need answers to questions that that only Tess can provide? Price: $4.99 (as of 05/31/2016 at 12:30 PM ET). Click here to take a Look Inside Cajun Fire. Manny Williams was out. No More FBI. No more BAU. Sophie Lee, his close friend and long time partner had lost her husband during the last case in Miami. It left him a changed man. Enough is enough. It was time to do something else. But, Josh Corner, his friend and former boss, had something different in mind. He was starting a new super unit focusing on potential terrorism suspects and their profiles. Manny's answer was still no, yet, can anyone escape who they are? Even Manny? A bizarre murder scene in New Orleans helped convince Manny and Sophie, and the rest of his former team to take the leap onto Josh's new team, at least for now. Only time would tell if that decision was the right one. After landing in New Orleans, Manny was convinced of only one thing. Death was around the corner unless his team did their job. Worse, even if they did. See all nine thrillers in the popular Manny Williams Series for $4.99 or less each on Kindle. 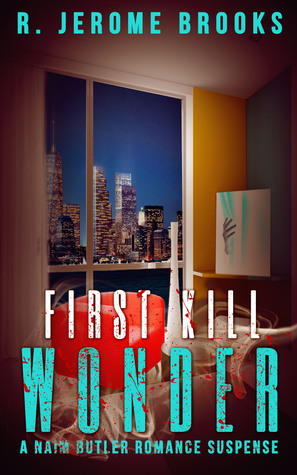 Omnimystery News invites you to Enter To Win a copy of First Kill Wonder by R. Jerome Brooks, courtesy of Prodigy Gold Books. Giveaway ends June 16, 2016. Naim Butler, a rainmaker, has perfected the art of sentencing mitigation, as a partner with Manhattan power-firm, Baker and Keefe. He's the kind of captivating and accomplished man that therapists vent to. His bachelorhood is turned upside down when an old flame, Sinia Love, drops a seventeen-year-old son into his lap forcing him to balance this revelation and his budding romance with Brandy Scott. 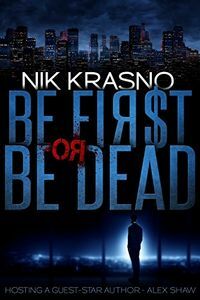 Professionally, Naim's assigned to prove a man's innocence of murder is filthy work itself, but catastrophic when an envious lover of Sinia Love's sets out to kill him while hiding amongst the glitterati of Manhattan's upper crust. 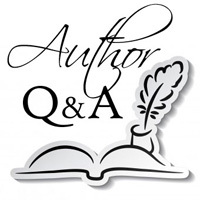 We are delighted to welcome author Darin W. Fortner to Omnimystery News today. 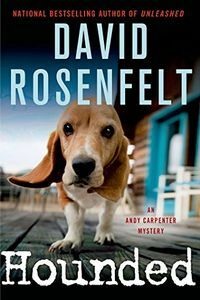 Darin's first in a new series mystery is Bring the Judgement (February 2016 trade paperback and ebook formats) and we recently had the chance to spend some time with him talking about the book. Omnimystery News: Tell us a little more about your new series character. What is it about him that appeals to you as a writer? 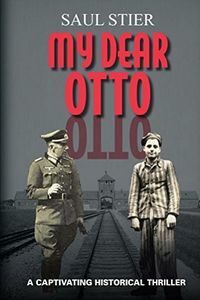 Darin W. Fortner: My character, Major Booth Sommerlott, was inspired by aristocratic series characters such as Lord Peter Wimsey and Philo Vance, and in the process of plotting the novel he became a landowner from South Carolina. I suppose, coming from my particular background, that I find the idea of a cultured and gentlemanly sleuth attractive. At the same time, I seem to be drawn to the trope of the talented amateur who is not always bound by police procedure. OMN: How do you expect him to develop over the course of a series? DWF: In the classic mode, the detective changes little from book to book, and this will be true of Major Sommerlott, although time will advance with each novel. Which means that I will need to address the personal choices which would result in his remaining as he currently is. DWF: Primarily the Major Sommerlott series could be described as cozy, or as traditional puzzle mysteries. I find that due to my setting the book several decades in the past it could also be described as a historical mystery. The greatest risk with labelling the book "historical" is that knowledgeable readers may discover that I know less about life in the past than I've convinced myself I do! OMN: When starting a new book, which comes first: the cast of characters or the storyline? DWF: Most of the time I find that the germ of the story starts with the identity of the murderer. Some authors go into a story without knowing the ending, but I find that I need to have the core situation (X kills Y in such-and-such a manner) firmly in mind before I can begin the actual plotting of the book. DWF: There seem, for me, to be a series of steps: first the core idea, then a very brief outline, then choosing the main characters and naming them (I find that the process of settling on names for the characters helps me to give them individual personalities, so that they become vivid in my mind), then a VERY rough draft/synopsis, which will eventually become the finished novel. I've described writing to my wife as very similar to sculpting marble: an idea becoming a general shape, then being progressively whittled at and polished until it at last feels like a finished product. OMN: How true are you to the setting of the stories? DWF: The series takes place in a fictional small town in 1930s South Carolina. While the town and its surrounding county are products of my imagination, I try to research that general locale and use what I uncover as much as possible. My protagonist exists solidly in that time and place, and knowing how the social pressures and customs of the era would affect his speech, personality, and actions is important. Without that particular background, he would be a different character altogether. OMN: How did Bring the Judgement come to be titled? DWF: I was looking for a title that would relate to the Bible-Belt setting of the novel while also giving some indication of the plot. One story that I enjoyed reading some years ago was a novelette by Ward Moore called Bring the Jubilee (which asked the question, What if the Confederacy had won the Civil War?) Aha. So very Biblical, so very Southern. So I tweaked that title to Bring the Judgement — which still sounds Biblical, and also gives a hint of the murderer's motivations and eventual outcome. OMN: What kinds of books did you read when you were young? 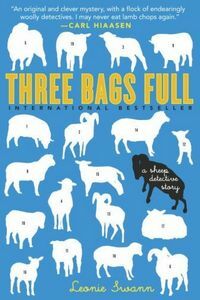 DWF: I remember reading the adventures of Sherlock Holmes, the Hardy Boys, Nancy Drew, Tom Swift Jr — and quite a few other books — but with those as a starting point, I think it was almost a foregone conclusion that I would write mystery novels myself. Darin Fortner lives with his wife in a tidy little house in west central Indiana, where the two share a fondness for puzzles and mysteries of all kinds. A volunteer minister who works in customer service, he is currently at work on the second novel in the Major Sommerlott series. For more information about the author, please visit his author page on Goodreads. Bishop's Hill, South Carolina … the sort of quiet, sleepy town where everyone knows everyone else, and little of importance ever seems to happen. And then the dead body of a recently-returned village son is found abandoned along the roadside. To Sheriff Talmadge, the solution is obvious. The deceased was a bully and a blackmailer, and it was only a matter of time before one of his victims turned on him. When the attacks continue, however, and the death toll begins to rise, the town council insists on enlisting help from an unexpected source: Major Booth Sommerlott, a veteran and local landowner known for his analytic mind and keen powers of observation. Together the two men will follow the evidence to a startling confrontation with a ruthless killer. — Bring the Judgement by Darin W. Fortner. Click here to take a Look Inside the book. 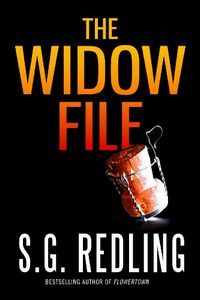 Click here to take a Look Inside The Widow File. Dani, a data analyst with an elite security firm, possesses the unnerving ability to read people by the trash they leave behind. Receipts, parking tickets, the detritus of daily life — if you leave it behind, she will figure you out. Her latest case involves high-tech industrial espionage at a corporation with ties to the military. But when a team of assassins sweeps through the firm, stealing all files and killing her coworkers, Dani narrowly escapes. Whoever ordered the strike thinks Dani has vital information and they put a hit man named Booker on her trail. Armed with only her wits and a bag of random investigation materials, Dani must figure out who the enemy really is while playing a high-stakes game of cat and mouse with the cunning hit man who has an agenda of his own. 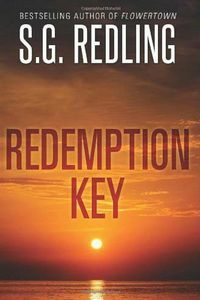 Click here to take a Look Inside Redemption Key. Her narrow escape from blue-eyed assassin Tom Booker has made former data analyst Dani Britton question all of her choices — like trusting "good guys" who carry badges. On the run and haunted by the government-sanctioned massacre of her coworkers, Dani finally settles in remote Redemption Key, Florida, at a bar where strong drinks and shady deals are the norm. The bar owner, a local operator with a past of his own, gives Dani a job, no questions asked, and soon Dani's ability to "read" the sketchy characters doing business at the bar proves invaluable. The libations flow, and the Key's laid-back vibe and warm waters start doing their therapeutic work. But as the mercury rises, a twisted deal starts to go down — threatening to take Dani with it. Like sharks smelling blood, players on both sides of the law circle for the kill. And when charming apex predator Booker joins the frenzy, he may turn out to be the only one on Dani's side. 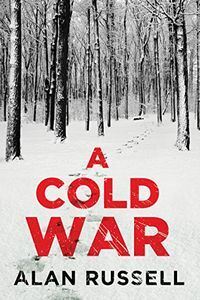 Click here to take a Look Inside A Cold War. Taken by a mountain man who calls himself Baer and then transported to a remote cabin surrounded by nothing but frozen wilderness, Nina descends into a nightmare of terror, privation, and bitter cold. Nina's privileged life did not prepare her for imprisonment at the hands of this survivalist trapper. If she is to live — and to escape — Nina realizes she must do it on her own. Undaunted and with startling determination, Nina pits herself against her captor, her fear, and nature itself in a battle for her life — but can she win against such deadly opponents? 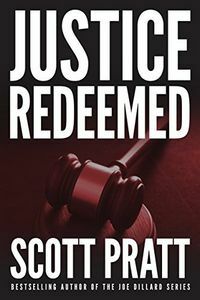 Click here to take a Look Inside Justice Redeemed. Two years ago, Darren Street made a name for himself as the man who rooted out corruption in the district attorney's office. Now the hotheaded young lawyer is in the public eye yet again — this time, accused of murder. Jalen Jordan retained Street for what seemed to be a minor traffic violation, but when evidence turned up linking Jordan to the death of two boys, Street wanted out of the case. To ensure his lawyer's cooperation and silence, Jordan threatened to make Street's son the next victim. Shortly after, Jordan's own body turned up with a bullet hole in his chest. Now Street is on trial for his life, and the enemy he made in the DA's office is clearly out for blood. It's one lawyer out to frame another. Can a desperate father escape punishment for a crime he didn't commit? 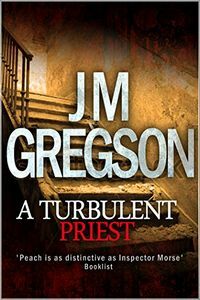 Click here to take a Look Inside A Turbulent Priest. Click here to take a Look Inside Life Line. Click here to take a Look Inside Winds of Deception. 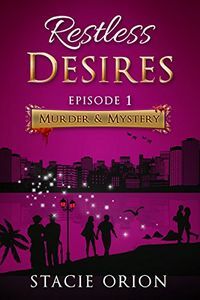 Click here to take a Look Inside Murder & Mystery. 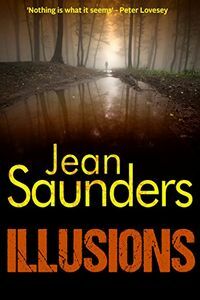 Click here to take a Look Inside Illusions. Click here to take a Look Inside My Dear Otto. Click here to take a Look Inside Envious Eyes. 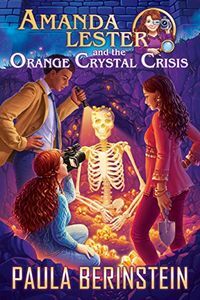 Click here to take a Look Inside The Orange Crystal Crisis.